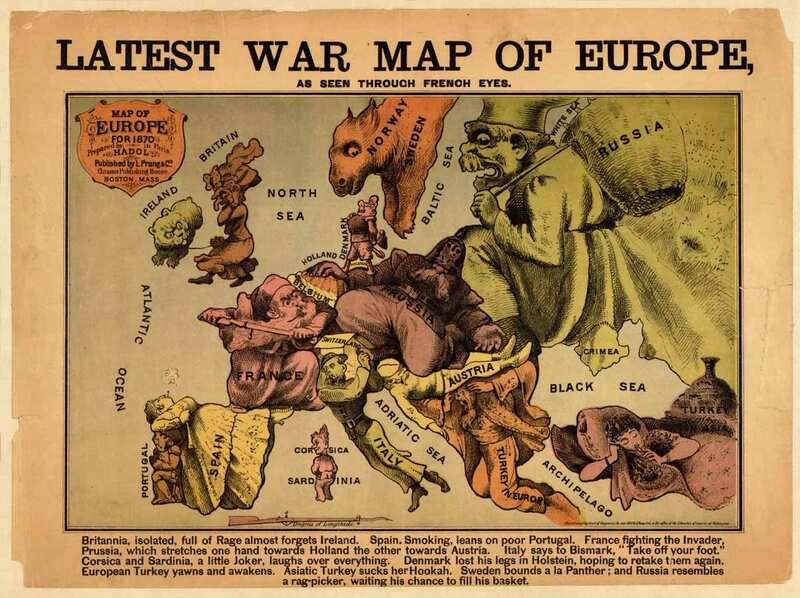 "Latest War Map of Europe, as seen through French eyes". 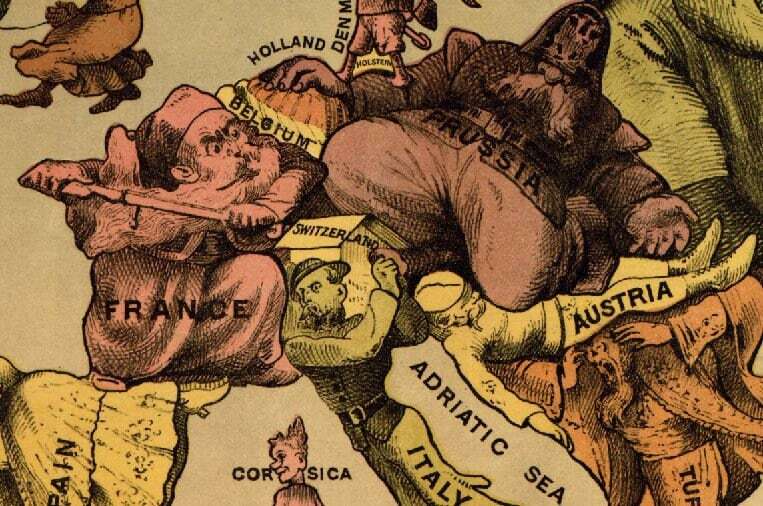 Very artistic map of War in Europe. 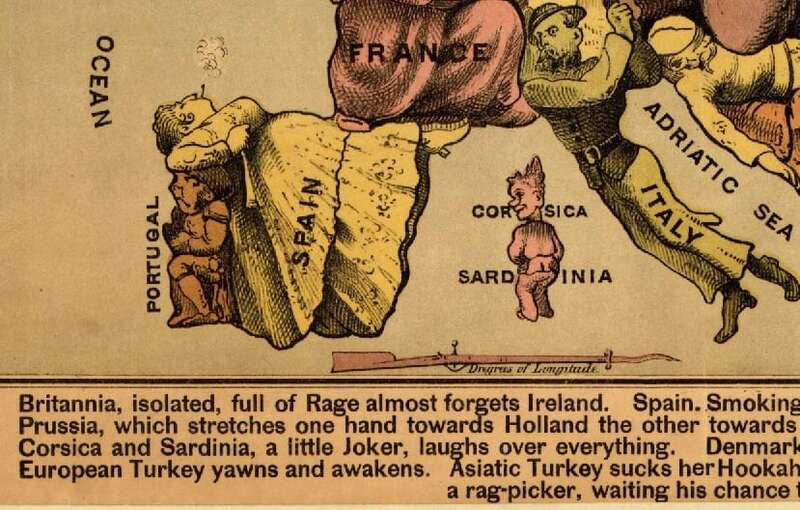 Great job of making these images blend into their countries. 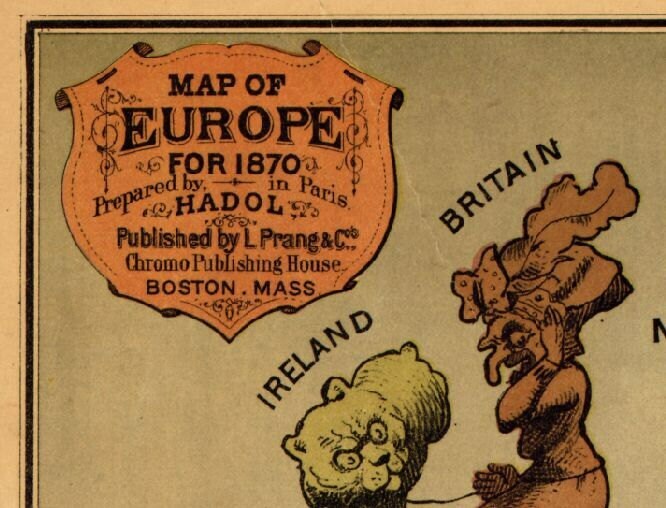 Maybe for someone who can appreciate the Political Cartoon-like map. Size is ~13" x 17.4". This is a reproduction print.